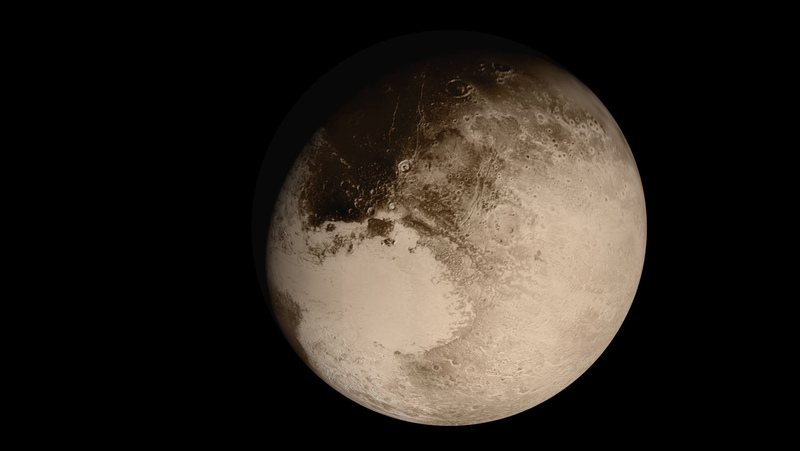 This is Pluto as it appeared to the New Horizons spacecraft during its approach of the dwarf planet in July 2015. NASA/Johns Hopkins University Applied Physics Laboratory/Southwest Research Institute. On February 18, 1930, Pluto was discovered by astronomer Clyde W. Tombaugh at the Lowell Observatory in Flagstaff, Arizona. Compared with the major planets in our solar system, Pluto has had a shorter but rockier history. Originally hailed as our solar system’s ninth planet, Pluto was reclassified as a dwarf planet by a 2006 vote of the International Astronomical Union — a move that remains controversial and challenged to this day. Pluto, regardless of the category into which it is sorted, has played a vital role in our understanding of the formation and evolution of our solar system. We now know it is part of a family of objects called the Kuiper Belt, comprised of icy, rocky remnants from the solar nebula’s earliest days. The Pluto system itself is larger than initially believed; its largest moon, Charon, wasn’t discovered until 1978, and only in the past two decades have astronomers uncovered four more tiny moons using the world’s most powerful telescopes. 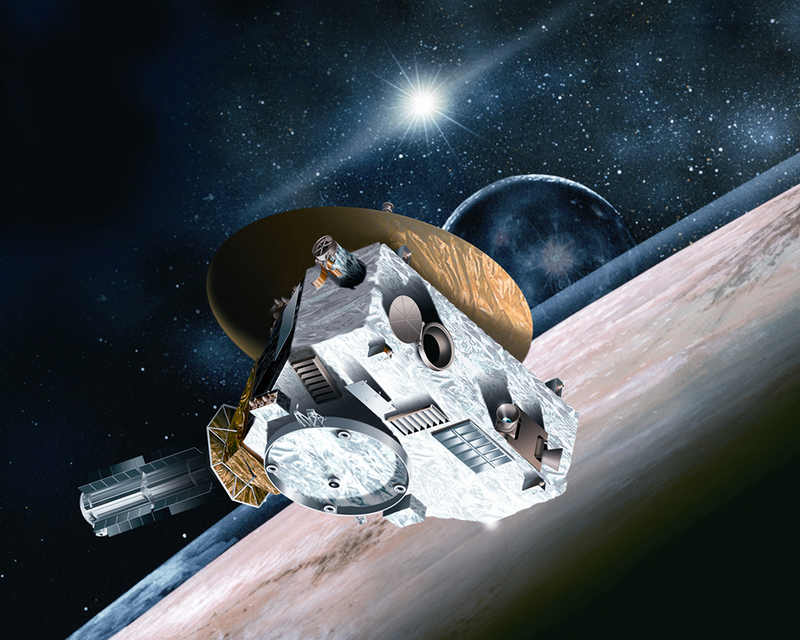 An artist’s concept shows New Horizons flying through the Pluto system. Johns Hopkins University Applied Physics Laboratory/Southwest Research Institute. Until 2015, Pluto remained a dim dot through Earthbound telescopes, and a mere few pixels on images taken by the orbiting Hubble Space Telescope. On July 14, 2015, the New Horizons spacecraft flew past the Pluto system, forever changing our view of this distant world. Astronomy celebrated the accomplishment with our Year of Pluto, a wealth of fascinating articles looking back over our past expectations, guesses, and dreams about Pluto, and highlighting the unrivaled success of and the wealth of information unlocked by New Horizons over the course of just a few short hours. Circling the Sun on an elliptical orbit tilted relative to the plane of the planets, Pluto takes about 248 (Earth) years to make one trip; the tiny, icy world has not yet completed even a single orbit since its discovery. But despite its distance and its still-controversial status, Pluto remains one of the most beloved and fascinating objects in our solar system. Below, you can find links to some of our favorite articles on the history of Pluto, leading up to its discovery, its naming, and the 2015 flyby. Or we invite you to explore our full library of Pluto articles here: Year of Pluto. And if, like many, you believe Pluto should regain its place among the rightful planets of our solar system, stay tuned — Astronomy will be featuring an exclusive on the definition of the word planet, and how we might rethink it, in an upcoming magazine issue and online bonus feature.